Mumba Children’s Project is a UK Registered Charity which seeks to address the education, social, cultural, and health issues experienced by people of African origins living in the UK and to promote and enhance the life outcomes for African communities in Zambia, Botswana and other rural communities in Africa. 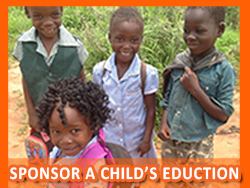 The Mumba Children’s Project achieves many of its core initiatives by the effective involvement of volunteers in the UK and in the regions of Africa where the Charity provides active projects to help solve real problems and enrich communities. Working with volunteers and involving organisations to improve the diversity and quality of volunteer placements. Mumba Children’s Project recognises that voluntary work brings benefits to volunteers themselves, to service users and to paid staff. We ensure that volunteers are properly integrated into the organisational structure and that mechanisms are in place for them to contribute to the Charity’s work. We do not introduce volunteers to replace paid staff. We recognise that volunteers require satisfying work and personal development and will seek to help volunteers meet these needs, as well as providing the training they need to do their work effectively. We endeavour to identify and cover the costs of involving volunteers. We will provide volunteers with training and support so that the rules of the Charity’s Commission to which we are subject to are adhered to by our volunteers while undertaking their roles. Recruitment of volunteers will generally be from all sections of the community, and will be in line with the Mumba Children’s Project Equal Opportunities Policy. Positive action in recruitment may be used where appropriate. People interested in becoming volunteers with the Mumba Children’s Project will be invited for an informal talk with the appropriate contact person. They will be given information including general information about the Charity and specific information on the volunteer post in which they are interested. Volunteer Board Members will be given a role specific induction and information pack by the Mumba Children’s Project Director. All volunteers will be asked to complete a simple registration form appropriate to the role that they are applying for and to supply two references. Where applicants are not placed in the role applied for, they will be provided with feedback and given the opportunity to discuss alternative volunteering roles both with The Mumba Children’s Project and other volunteer involving organisations. 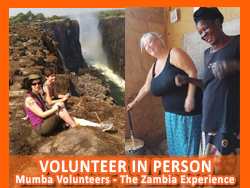 Volunteers with The Mumba Children’s Project are likely to come into contact with vulnerable people and/or children and be in a position of trust. They will therefore be asked to provide a current DBS Certificate prior to commencement of volunteering. This information will be dealt with in the strictest confidence and will not necessarily prejudice the person being accepted for voluntary work. Volunteers will receive a role description and volunteer agreement containing full information about their chosen area of work and a clear outline of their responsibilities to dependent on their role within the Charity. Volunteers will be consulted in decisions which affect them. 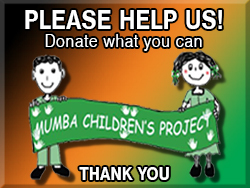 The Mumba Children’s Project is committed to developing consultation and representational procedures for volunteers. Minimum details will be kept on volunteers. This will include the registration form, references, placement details, crisis contact, correspondence and any other relevant information in accordance with The Mumba Children’s Project confidentiality policy. In accordance with the UK’s DPA 2018 and the EU GDPR volunteer records will be retained for a period of 2-years post engagement as a volunteer with the Charity. We do this so that at any point in the 2-year period from your last day of service to the Charity you can ask us to provide you with references. Your records help us to ensure that your reference is accurate and relevant. Once the 2-year period from your last day of voluntary service all records both digital and hard copy will be safely destroyed. At any time during your service and in the 2-year data retention period you have the right to ask us for a copy of all data which we hold on you including the purpose of processing. Your first copy of all data will be free of charge – subsequent copies might incur a small administrative charge dependent on the circumstance of further additional requests. Full details of volunteer Data Protection & Privacy Rights are to be found in the Volunteer’s Handbook. The Mumba Children’s Project will ensure that there is a clear and accessible system to enable volunteers to claim out of pocket expenses. Volunteers will be covered by the Charity’s insurance while carrying out agreed duties. Where volunteers might travel for or/on behalf of the Charity, volunteers might be advised dependent on the circumstances to take out their own additional insurance cover. The Mumba Children’s Project will take all reasonably practicable steps to ensure the volunteers’ health, safety and welfare while at work in accordance with The Mumba Children’s Project Health and Safety policy. Volunteers and staff will work in accordance with the The Mumba Children’s Project equal opportunities policy and will prevent discrimination on any grounds. 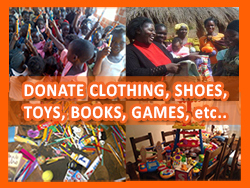 The Mumba Children’s Project has a policy to help deal with grievances that volunteers may have. In line with this policy volunteers have the right to discuss any concerns they may have with their named contact at any time. If the contact person is unable to resolve the problem they will refer the matter to the Director and ultimately the Board of Management, with the permission of the volunteer. When volunteers move on from their role at The Mumba Children’s Project they will be asked to provide feedback on the volunteering experience by way of an exit questionnaire. They will also be given the opportunity to discuss their responses to the questionnaire more fully with their Volunteer Support Worker or a member of the management team. The Mumba Children’s Project has a policy on how it will deal with any disciplinary issue regarding a volunteer. The Mumba Children’s Project will systematically monitor and evaluate its use of volunteers with reference to this Volunteer Policy. This policy is reviewed bi-annually.